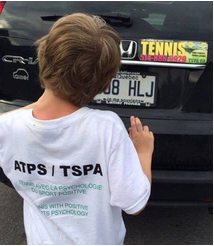 The Tennis and Sports Psychology Academy (TSPA) is dedicated to teaching children and adults the physical and mental skills necessary to perform at their best, both on and off the courts. The academy believes in developing positive living skills, growing and flourishing the sport of tennis within communites so that it is easily accessible and enjoyable. We are a company that is dedicated in spreading goodwill and kindness. Our motto is "Tennis with positive sports psychology". 1) Find out about all the activities offered. Click here for more information. 3) Join the many TSPA mailing lists. Fill out the newsletter sign up form on the left of this page. 4) Read our FAQ (frequently asked questions section) for our activities by clicking here. 9) Tell someone else about this wonderful website. We reward you with your referral with 20 coupons for each new client that registers for camp.